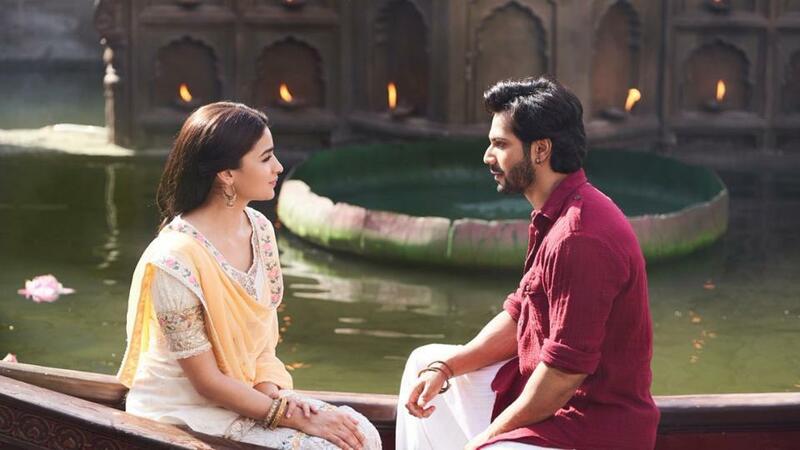 “Meri Pyaari Bindu”… A beautiful, deeply felt romance that’s confident in its skin! Tusshar Sasi	 May 12, 2017	 6 Comments on “Meri Pyaari Bindu”… A beautiful, deeply felt romance that’s confident in its skin! When our protagonist Abhimanyu (Ayushmann Khurrana) reaches a familiar music shop to get his favourite ‘mix tape’ fixed, the shopkeeper declares how certain combinations are to die for. Singularly perfect, they make for a priceless brew if put together. Just like Abhimanyu’s mix tape, and his chemistry with childhood sweetheart Bindu (Parineeti Chopra). Debutant Akshay Roy‘s main leads in Meri Pyaari Bindu are glaringly dissimilar. Abhimanyu falls for Bindu’s charms the day he meets her. For Bindu, he personifies the calming ‘chhatwala kamra‘ at home where she seeks comfort in great happiness and sorrow. Complicated much? A little less than our bitter lives maybe. Meri Pyaari Bindu, for starters, is a masterful prism to Abhimanyu’s life. Folks who crave for intimate details of Bindu’s personal life are in for a big disappointment. I must thank writer Suprotim Sengupta for not spoon-feeding me with information that I probably wouldn’t have appreciated. Towards the end, in a bittersweet moment, we hear Bindu tell Abhimanyu, “This is your story. My version would’ve been a little different,” In a bond formed at a very early age, we are shown how different their backgrounds are. One weird, loud happy family versus a moderately dysfunctional one. The former frames their son’s degree certificate to form drawing room pride. The latter is burdened with grief, guilt and unsolved issues. Luckily, we are not fed too many details of either households, avoiding the common route of fiercely justifying characters and their behaviorial patterns. Abhimanyu (alias Bubla) and Bindu’s inherent contrast makes them who they are. They aren’t the most sorted people of all, which is a clear heartache for a typical viewer seeking aspirational merits in screen actors. Then there’s more to Abhimanyu and Bindu’s dissimilarities. He is a writer at heart and is passive about it. Rather he takes up a mundane corporate job, probably to secure the life he envisions ahead (you and I, Devdas – the dog, 2BHK in Matunga, kids and more). On the contrary, Bindu is passionate about her musical leanings. It’s a dreadful sight to see her career crash like nine pins. For someone who never planned any other aspect of life, she unknowingly becomes a part of Abhimanyu’s plans for a while. And him? The moment he sees a tunnel with no hopeful light ahead, Abhimanyu triggers what he was meant to do and turns a writer. Not a Gulzar, but a dumbed-down Chetan Bhagat for good. Driven by memories, Abhimanyu is one whose manuscripts are born out of a typewriter in the age of MacBooks. He seems alien to the world of iPods and music apps, as he’s happy with tape cassettes from the 90s. Though I felt these elements were a little confused here and there (unlike the brilliant Dum Laga Ke Haisha), their usage stands vindicated. These tiny nuggets, memories and materials bind Abhimanyu’s untested fondness for Bindu. For once I wondered if one of them is being taken for granted for the fact they aren’t combative to any degree. They are people who would let time heal their wounds. Meri Pyaari Bindu eventually proved all my apprehensions wrong with a life-like yet teary finale. Having said that, this isn’t a flawless feature. Suprotim’s writing, in all its nuances and detailing, tends to lag. With frequent narrative shifts, Akshay Roy’s method, too, is wearisome in parts. There are portions where the film tries hard to remain in its edgy space. The proposal scene, for instance, doesn’t work very well. Although the allusive scene where Abhimanyu unties the heirloom necklace off Bindu’s neck is kickass in isolation. Bindu’s line on ‘audience’s expectation’ is nearly about the film and its content, which may not exactly be the masses’ cuppa tea. Many such moments remind us how Meri Pyaari Bindu is one film that has used up many more reels, all of which eventually got snipped on the editing table. By the way, who is waiting for the deleted footage? I, certainly, am. Not the usual rom-com that delivers an accustomed monotony of colours, some of DOP Tushar Kanti Ray‘s washed out frames are stellar. As Mumbai is captured with a rare beauty, one wishes Calcutta was given a slightly better deal. Then, again, we spot the Howrah Bridge through the terrace room window even. Ray also deserves credit for unflinchingly tracing his actors’ minute facial expressions to twitching of their eyebrows. Sachin-Jigar‘s soundtrack and score (along with few yesteryear hits) balances the film’s wistful mood. The final song (Maana Ke Hum Yaar Nahin) by Chopra and Sonu Nigam is heart-wrenching, to say the least. And yes, you will clearly notice Chopra’s footwear in the peppy Yeh Jawani Meri fluctuate weirdly from heels to flats and back! Dialogues of Meri Pyaari Bindu, sprinkled with nostalgia, are true to life and is one of the film’s foundations. 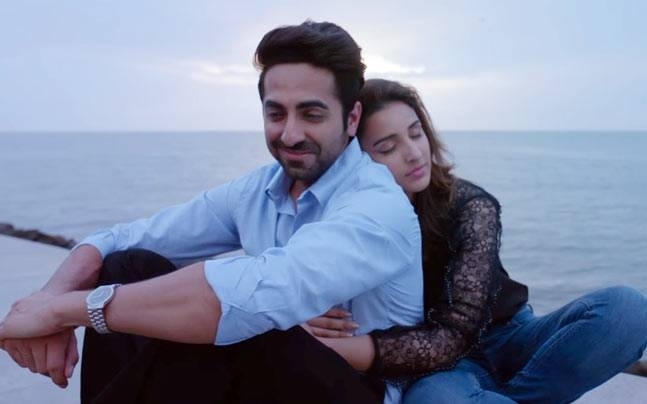 As for performances, Meri Pyaari Bindu is a complete Ayushmann Khurrana show reel. The fantastic actor that he is, it is a pleasure to see him transform as Abhimanyu and internalize all his pains, joys, uncertainties, heartbreaks, confusions and jealousies. Heartfelt to the core, he radiates world class intensity whenever the screenplay requires him to convey inadequacy or jealousy. Parineeti Chopra forms perfect foil to Khurrana. In a character that could easily be labelled ‘bohemian’, ‘selfish’ and what not, Chopra’s Bindu remains a mystique throughout. The writer/director’s success is in letting her story be untold. And to Chopra’s credit, right from that enigmatic introductory montage till the last frame, she expresses ambivalence like there’s no tomorrow. Predominantly a film about the lead pair, Meri Pyaari Bindu‘s supporting cast does a swell job too. Special mention to Bengali actor Aparajita Adhya who plays the quintessential Indian mom to hilt. Abish Mathew in a tiny cameo is memorable for that solitary Malayalam one-liner. i loved the movie too…! very well written.. you captured all the minute details.. Specially the Howrah bridge through the terrace window.. Thanks Rahul 🙂 Hope you enjoyed the film as much as I did. Great, great review. I personally loved the film and made it a point to read as many reviews (good and bad) to know what they felt. Must say none of them captured the film like this one. Well done. Previous Post“Comrade in America (CIA)” is all Dulquer, no substance! Next Post“Hindi Medium”… An important story drowned in clueless making! Queen (2014) – Hungama ho gaya! 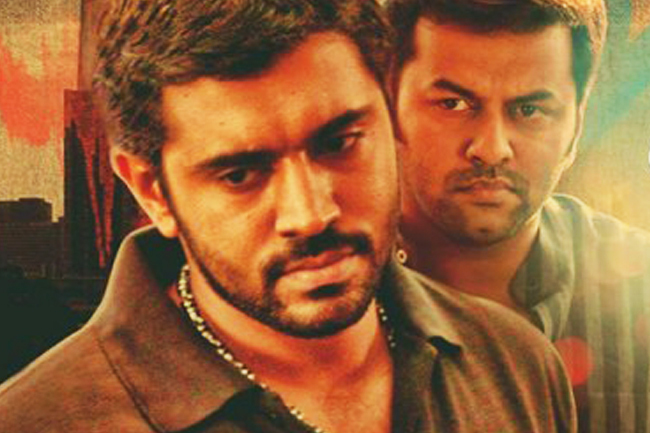 Arikil Oraal – Could have been a riveting thriller!